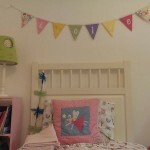 Is your child’s room looking a bit tired and in need of a refresh/redecorate? 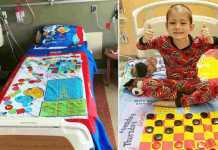 Looking for fun kids bedroom ideas? 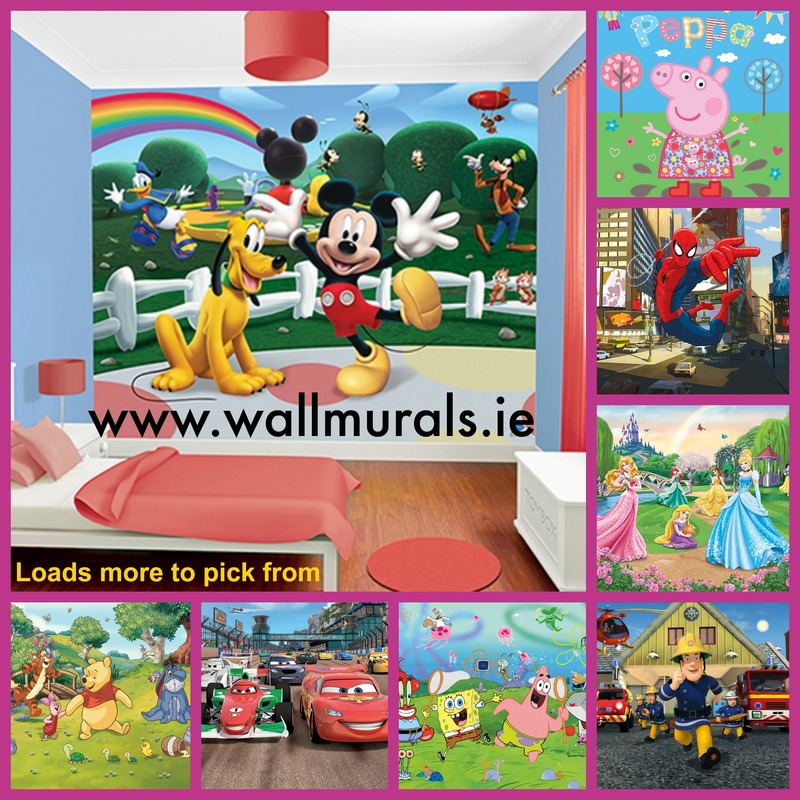 We have put together some fun kids bedroom ideas for you, from our newest sponsor, Wallmurals.ie. 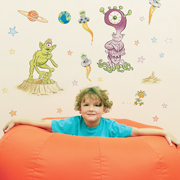 Their huge range of wallpaper murals and wall stickers for kids and adults will transform any room. 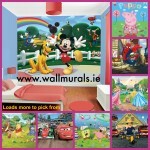 The guys at Wallmurals.ie have also given you the chance to pick and win any product from their website! Want to add the WOW factor to your child’s bedroom / playroom or turn a boring wall into a great focal point in your home? Check out the great new website www.wallmurals.ie for loads of great options. Congrats to Sheelagh P from Waterford who won her choice of any product on the Wallmurals.ie website! We have rounded up some more fun kids bedroom ideas to help you with storage, beds, bedding and decorating your child’s room. 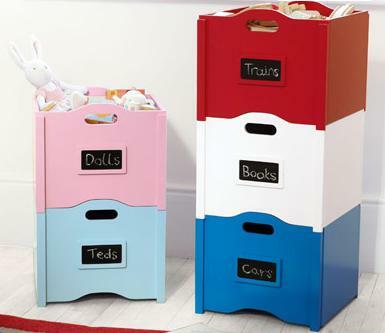 These stackable storage boxes from GLTC.co.uk look like the ticket for tidying up all those bits and bobs that seem to accumulate in your child’s room. They have removable blackboard labels on the front, which is handy for telling everybody what should be inside. Measurements: 25H x 32W x 31D (cm). 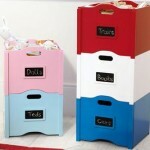 They come in 5 different colours and also feature two useful carry handles. GLTC deliver to other countries but allow for extra delivery time when ordering. 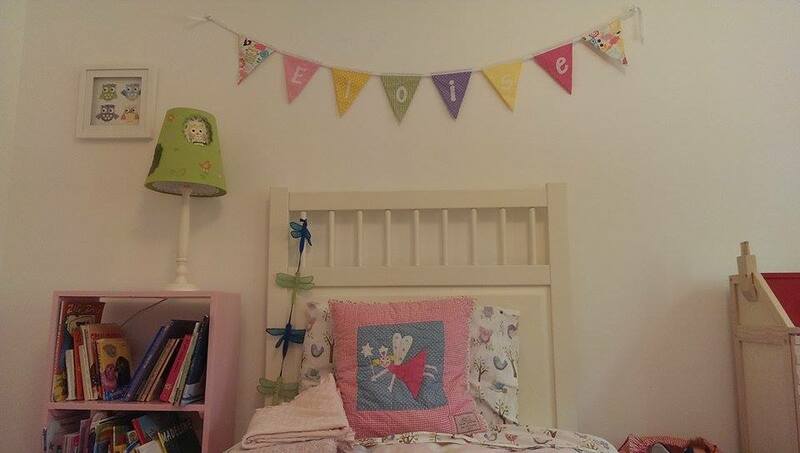 Fabric Personalised Bunting is a nice way of personalising your child’s room – you can have your little girl or boy’s name added to it – or just some special word you would like like “Peace” or “Joy”. You can order by the letter. This personalised bunting is hand made by Tiny Kooka using 100% designer cotton for the flags and plain cotton for the letters – the letters are cut by hand and applique with sewing machine. 2 extra coordinating flags are added to the letters you order. rs. You may also like 14 Glorious Girls Bedroom Ideas that aren’t just boring pink! 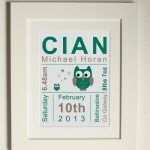 Or what about a personalised art piece that you can frame and hang on the wall? 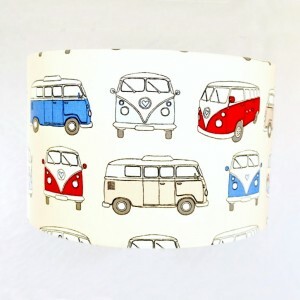 Lottie Coco creates bright, fun and quirky prints specifically aimed at children. 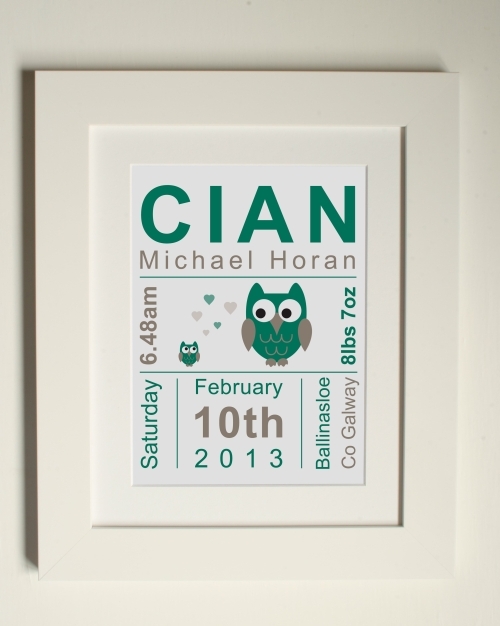 Their personalised prints are nicely designed pieces to showcase all those important details about your child. 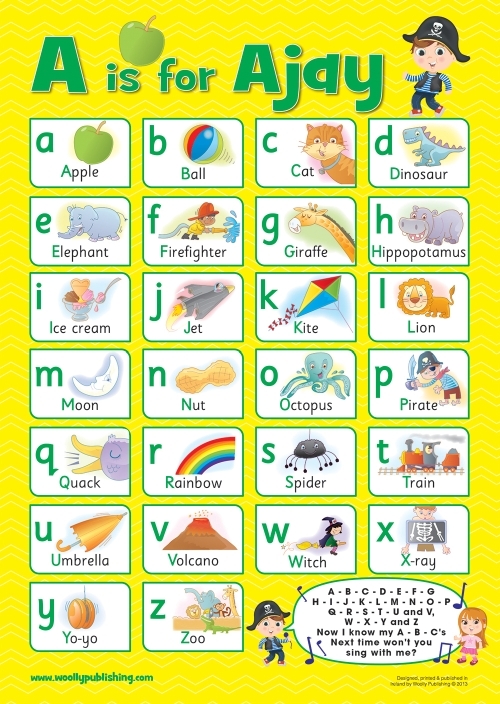 And a fun and educational way to brighten up your child’s room is this beautifully illustrated and personalised Alphabet Chart. It comes in Pink, Blue or Yellow, and can be personalised with your child’s name. 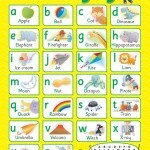 It’s a fun positive way to interact with and educate children. The poster is printed on the best quality 180gsm photographic paper and is available in A1 or A2 size starting from €9.99. How about a Teepee for Kids? This beautiful Teepee would look great in any home. It has an opening and is very easy to set up. A fabulous toy, furniture even, that works both indoors or out. It’s made out of six wooden poles and a canvas that comes with a multi coloured native american inspired print. It’s been designed in collaboration between French toy manufacturer Vilac and renowned artist Natalie Lete. 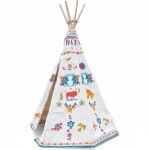 Teepee is 101 cm (40 inches) wide and 170cm (67 inches) tall. Kids always have firm ideas on what they do or don’t like so one way to go with decorating is the wall sticker route which avoids a complete new paint job and can be taken down easily once they are fed up with the them. 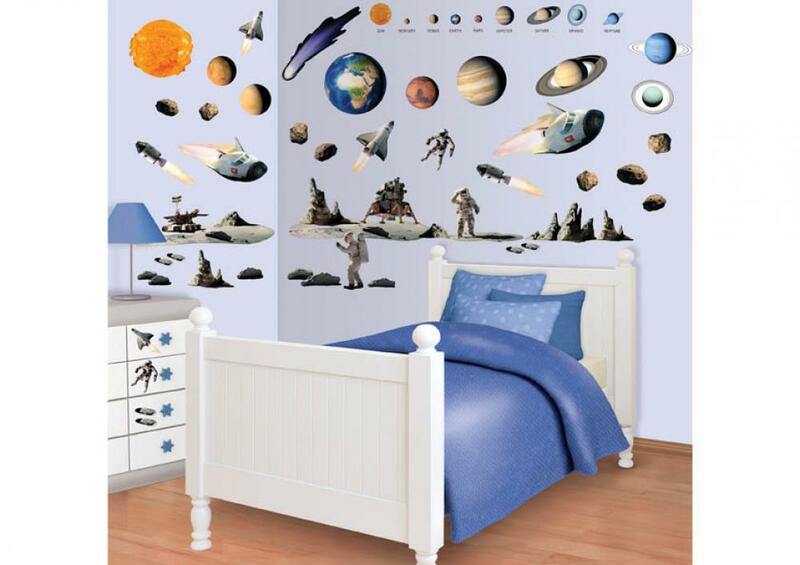 WallMurals.ie have a great range of kids wall stickers and room decorating sets. And best of all their stickers can be removed without doing any damage to your walls – guaranteed! These Space Adventure Stickers caught our eye, you get 69 Stickers in the set. 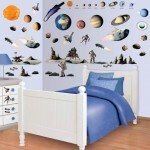 You can create an out-of-this world theme and they can go on walls, ceilings and furniture, they are very easily removed. There are loads more Room Make Over Kits and Sticker Sets to choose from here. You can learn more about our sponsor Wallmurals on their website. Have you any tips for decorating kids rooms? Share them with us in the comments below. Did you find this article useful? Sign up for our newsletters, join us on facebook and follow us on Twitter, Instagram and check out our Ideas for Home board on Pinterest. Previous articleIs your child interested in learning how planes fly?